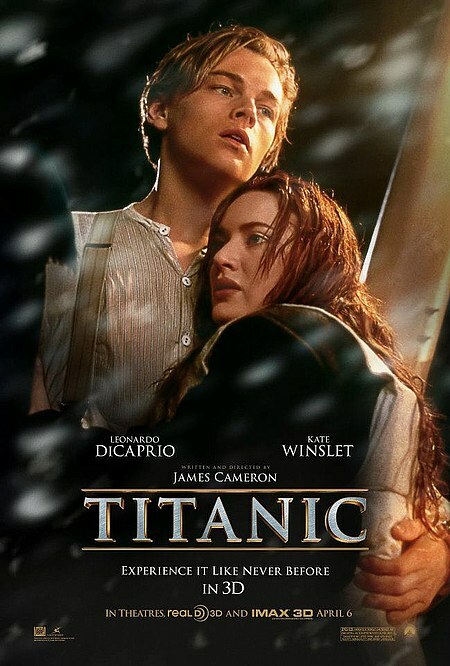 Titanic will be returning to theaters on April 6th in 3D. A lot has been said about the film over the years but the general consensus is, it's a fantastic piece of work and made to be seen on the big screen. Plus being from James Cameron, it should be pretty spectacular in 3D. The first poster for the re-release is seen to the left!